Using the STAMPED Method for the Delivery of Custom Hoses | Hoser, Inc. Using the STAMPED Method for the Delivery of Custom Hoses | Hoser, Inc.
All operations are different, and many facilities today require custom hoses for their applications. At Hoser, Inc., we are proud to deliver custom hoses specific to your requirements whether you need thermoplastic hoses, reinforcements, or high-pressure hoses. We want to ensure your custom hoses are the right size and that once installed, they function appropriately for your needs. For this reason, while placing your order for custom hoses, we ask that you rely on the STAMPED method, which is a common standard for our industry. S (Size)—Let us know your desired ID, OD, and strength. T (Temperature)—What will the maximum and minimum temperatures of the materials being transported be? A (Application)—This refers your particular industry or the process you will use. M (Material)—What material will be transported through your custom hoses? What is the concentration like? 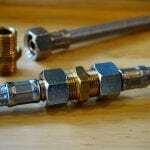 P (Pressure)—This refers to the maximum working pressure of the hose. E (Ends)—What connectors or couplings do you need on the hose? Make sure you check the equipment you will be using the hoses with before determining this. D (Delivery Method)—This refers to the volume and velocity of the materials being conveyed. Our custom hoses are designed and manufactured to ensure your operations are as efficient and effective as possible. To place an order or to find out more about our ordering and development processes, please contact us today.